First thing you need in order to Gain Weight is the right Diet or atleast some ideas how to make one. You have to understand that diet does not mean eating less! Diet is special eating habits that are used to reach exact goals! In this time the goal will be weight gaining. To gain weight, you should find out your body type. Each body type needs different approach. In this tutorial we will give you basic directions for each body type. To bulk up you must eat, if you care more about fat - eat less food that contains fat (burgers, crisps etc. ), but fat is not always a bad thing… to stay simple - fat is energy, our body uses fat as fuel, if the fuel is more than we can use, it gets stuck in the fuel cistern. It is as simple as that. Try to eat more fat in morning than evening because we don’t use fat in night. You are not oblige to brake your everyday eating habits, just eat more and you will succeed in your bulking process. Eat 5-6 meals per day. Do not get overeated each time - eat just not to stay hungry. Rest, rest. REST! Sleep a lot. Sleep when you can, sleep when you want and when not -just sleep. Stay possitive… it is importatnt if you want to reach your goals, build your mass and muscles! You should just eat a lot and sleep. 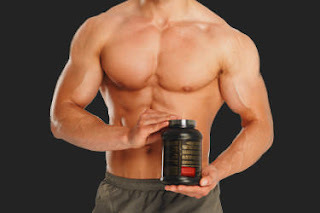 Supplements are not primary, but you will reach your goals faster with them. Supplements listed above are excellent choice. Use them and rest a lot - it is the key. Don’t forget about the right weight gain training program!